Today’s generation of aspiring young musicians often have just one choice in their pursuit of a career – to take the plunge and independently mastermind a digital cottage industry from which their songs can be discovered by a like-minded audience. 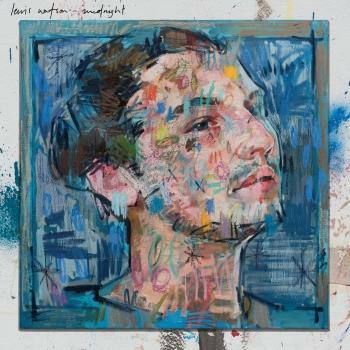 That’s precisely what Oxford’s twenty-year-old singer-songwriter Lewis Watson did. After gradually building his own fan-base, his economically-produced debut EP ‘It’s Got Four Sad Songs On It BTW’ topped the iTunes singer-songwriter chart on the first day of release, outselling the likes of Adele, Madonna and Ed Sheeran in the process. It’s a model that plenty of artists aspire to recreate, but few ever make any serious progress with. The success of the EP and his continuing popularity posed a fresh problem for Watson’s songwriting style. Suddenly his personal songs were being delivered to an audience of thousands. “I’d never want to write a song that wasn’t really personal to me, but at the same time it can’t be too personal,” he notes. “It’s like telling 45,000 people a secret that I didn’t want to tell anyone.” At the same time, he added an intimate touch to the release by customizing the first 1000 physical copies of the EP with an illustration of the buyer’s choosing. That was a fine plan, he laughs, until someone asked for a picture of a llama playing the guitar and wearing a top hat. Within days of the EP’s release, Watson had attracted the attention of just about every record label in the land and soon inked a deal with Warner Bros. Records. Part of the appeal, he says, was the label’s long-running success with male solo artists as diverse as David Gray, Damien Rice and Neil Young. Recent months have found Watson holed up with a huge number of collaborating songwriters and producers including Mike Crossey (Arctic Monkeys), Richard Wilkinson (Kaiser Chiefs), Iain Archer (Jake Bugg), Kid Harpoon (Florence + The Machine) and Mr Hudson. Already, Watson is beginning to take further strides towards his glowing future. He recently played his largest gig to date when he supported Birdy at Shepherd’s Bush Empire (he calmed his nerves by seeing one of his favourite bands, Two Door Cinema Club, at the same venue the week before), while next month’s headline tour is already sold-out and prompted the addition of further dates in December. His next EP, ‘Another Four Sad Songs’, will be released in October. Retelling almost any part of his story to date prompts Watson to observe: “…and I never thought that could happen.” By dictating his own destiny, he’ll need to suspend his disbelief for some time to come.